I can also see lot of people getting confused/having no clue of what is happening with this new behavior. So here we are. 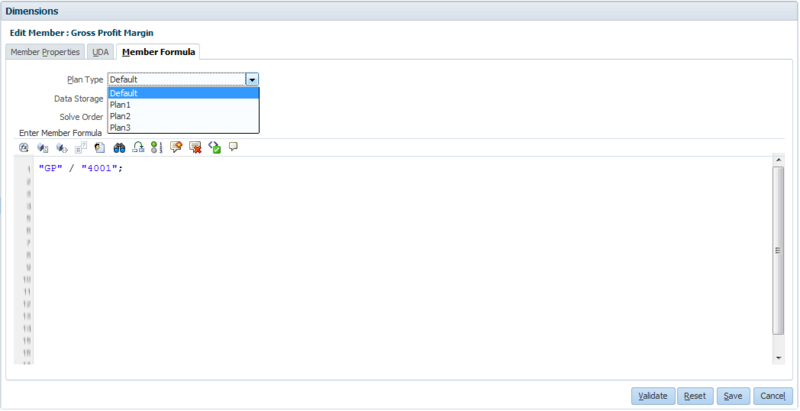 When 11.1.2.3.500 was released it came up with a new Plan Type option and because of the difference in writing member formulas, Oracle had to come up with a way to facilitate both BSO and ASO style scripting. So let’s look at how that effected rest of the functionality. 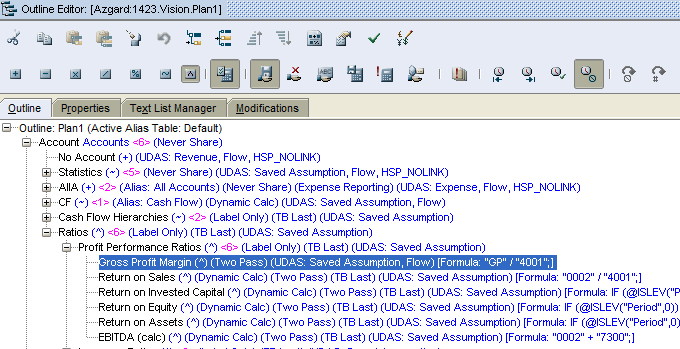 If you look at Gross Profit Margin, in Vision application it is a dynamic calc member. 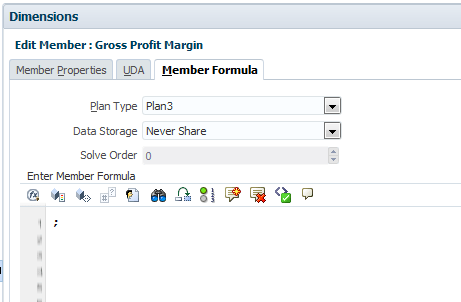 If you open Member Formula tab, you’ll see a drop down to select different plan types. You’ll even see that you can set different storage options. Now let’s start changing the options. Perform a refresh and see what happens. 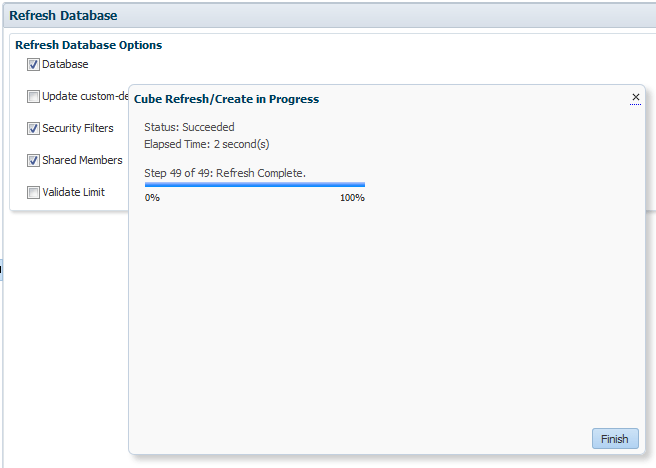 Oh another change that was added was – Refresh from Planning unlocks the outline. It won’t complain about Outline being locked. 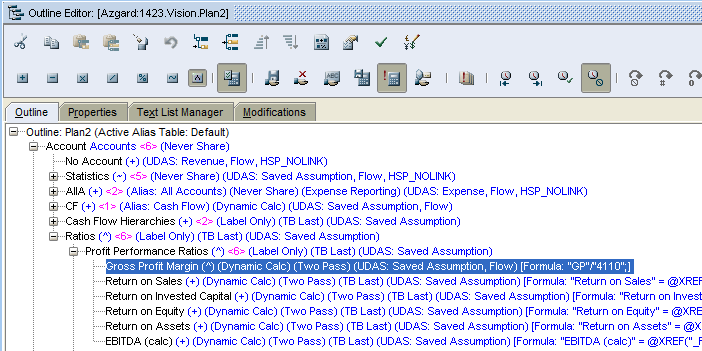 I get it, I get it – you shouldn’t be updating formulas directly in Essbase outline. 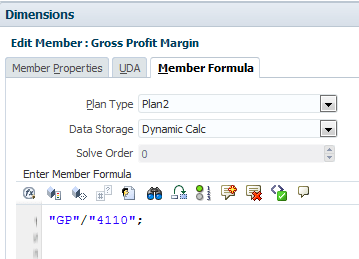 However think about those outlines which has HSP_UDF uda and has an Essbase formula, now if the admin was updating the formula and a Planning refresh unlocks his outline!!!!! 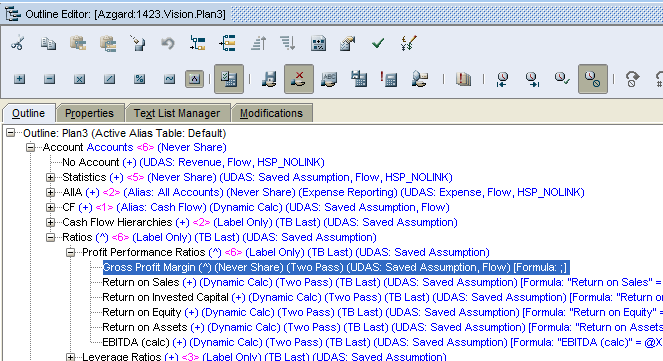 That’s my Essbase Locked Objects and then Planning removes the lock and refreshes the database. Now let’s look at the outline. It become a Store member with the default formula. The Main screen will still say that it is a dynamic member, however the outline will tell you something else. I had to struggle with this at a project, where Planning was changing this on it’s own!!!! 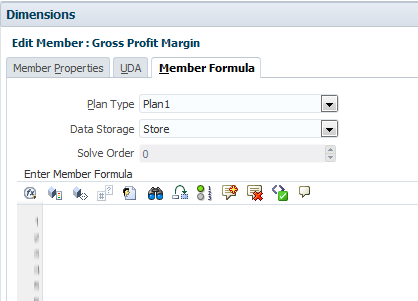 On a Sparse dimension, the main screen was showing me that a member was Store, however it added a “;” and updated Essbase outline as Dynamic Calc, you’ll never know what hit you!!!! This is where I like the Smart View dimension editor and you’ll see why. 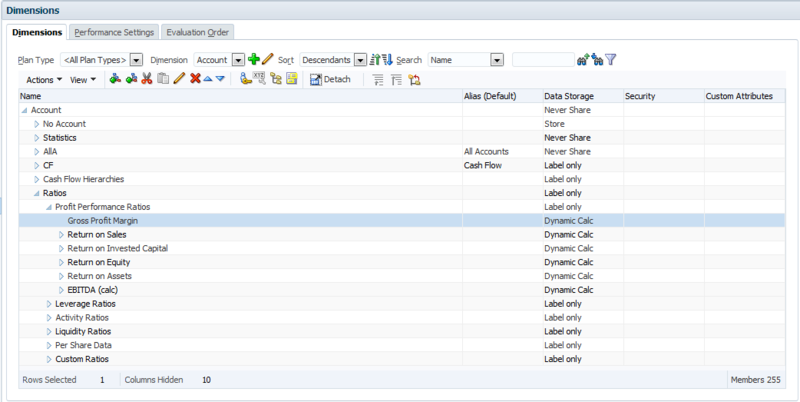 It’ll list what is the Storage and Formula on Individual Plan Types.